Thank you, you have successfully been subscribed. Sorry, there was a problem with your subscription, please come back and try again later. We will keep you up to date with offers and information from Madame Tussauds and the Merlin Entertainments Group. If you'd prefer not to receive email offers, please untick the box. Grab a seat next to film and fashion icon, Audrey Hepburn and enjoy "Breakfast at Tiffany's" in the Spirit of Hollywood Room! 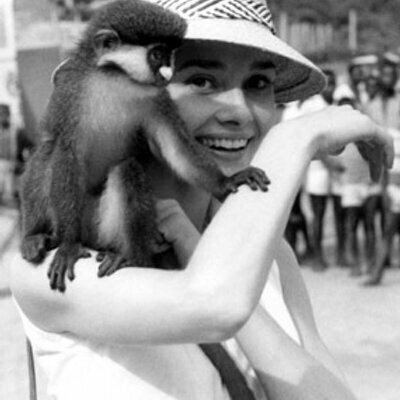 Hepburn was fluent in English, Dutch, Spanish, French, and Italian. She was raised bilingually; speaking English and Dutch (resulting in her unique accent). Throughout her life, she used multilingualism to great advantage with international press in both her careers as an actress and humanitarian. She was trained as a dental assistant before making it big. Hepburn told "People" magazine that she was very self-conscious about her size 10-feet. “I was born with an enormous need for affection and a terrible need to give it." Copyright Merlin Entertainment Group 2017, all rights reserved.